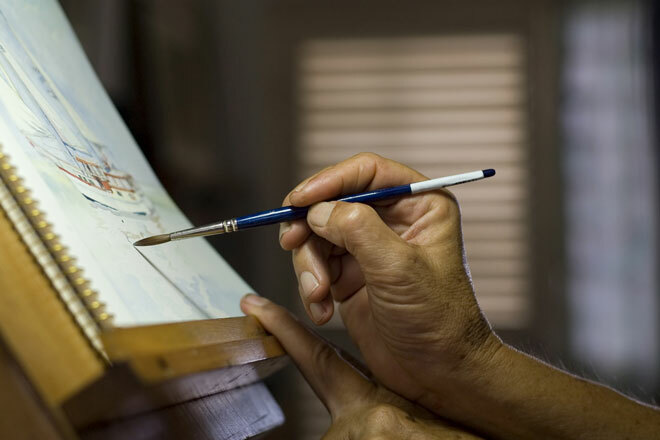 Watercolor painting can usually be done on a table or a slightly sloped surface rather than on an easel. There are combo easels which work well for watercolor painting, but too steep a surface can cause the paint to drip and run. For en-plein-air painting, an art easel is handy. Art easels are usually made of metal or wood. Portable easels have telescoping legs and fold for carrying. French easels have a box to hold materials and supports to hold a palette. Jack Richeson & Co., Inc.